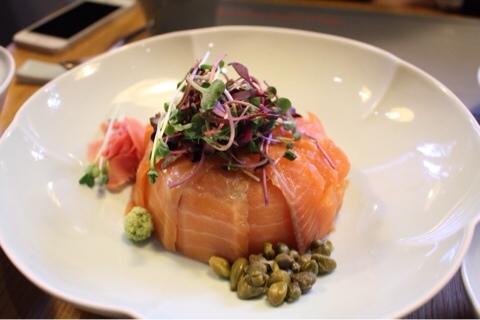 Do you remember this amazingly beautiful Salmon Rice Bowl photo we shared with you on Instagram? 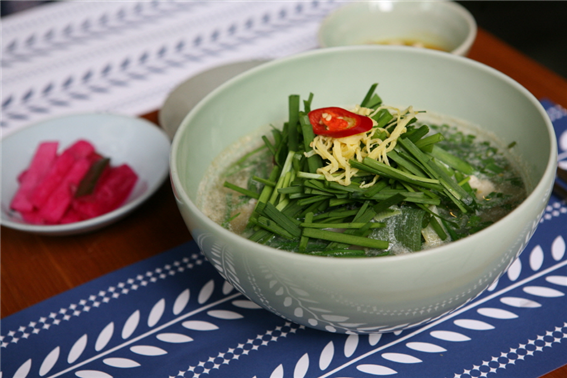 Well, let us introduce this amazing fusion Korean restaurant, Sabal! They are both fusion restaurants, with a strong Korean flavor. 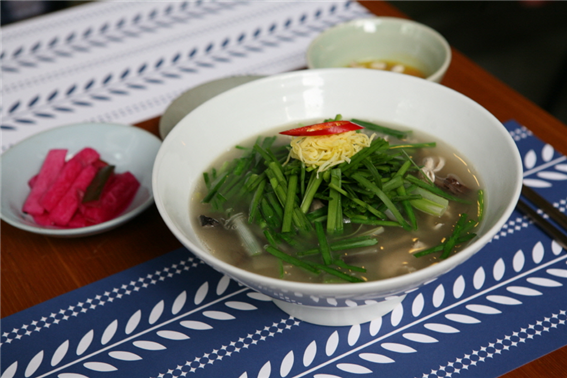 Most dishes are between 15,000 won and 20,000 won, and we highly recommend it! 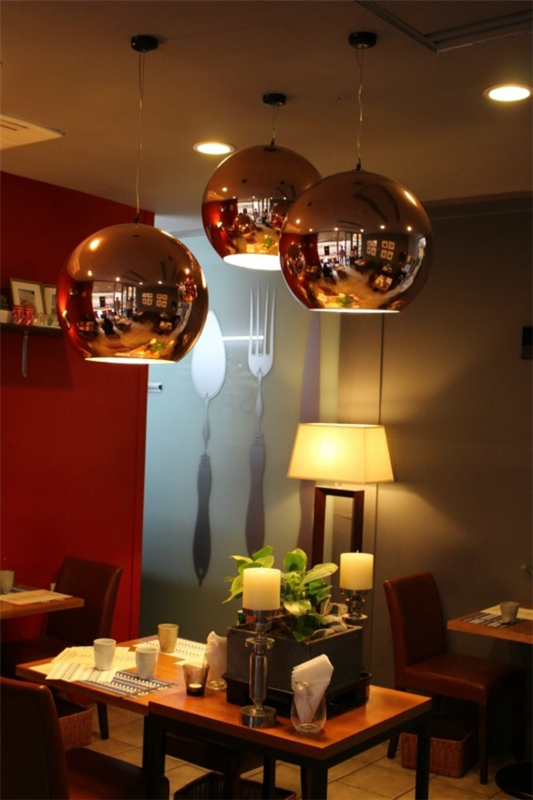 The interior is very beautifully decorated, but more than that, the food is amazing! 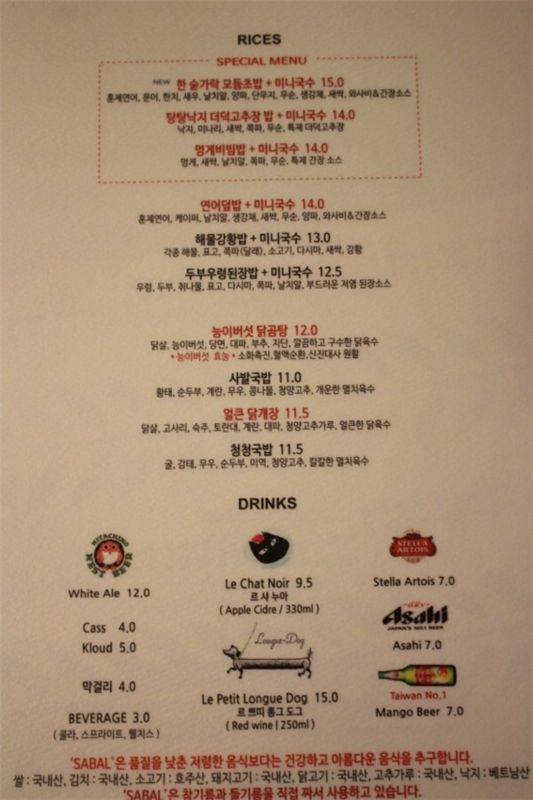 Menu is in Korean, but if you take our blog post on your phone or ipad and show them photos, they should be able to help you out! The Salmon ricebowl is beautiful and comes with a small miniature serving of noodles in hot seafood broth- the recommendation they give you in eating this is to unwrap the bowl and make your own little sushi. It is a painstaking process, but also kind of fun! 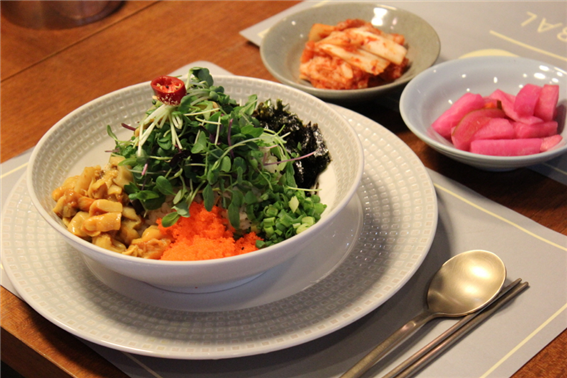 Some other items on their menu that is also popular is their bibimbap with sea urchin (uni!) It is a hefty potion and you get a lot of vegetables, and you mix it yourself! 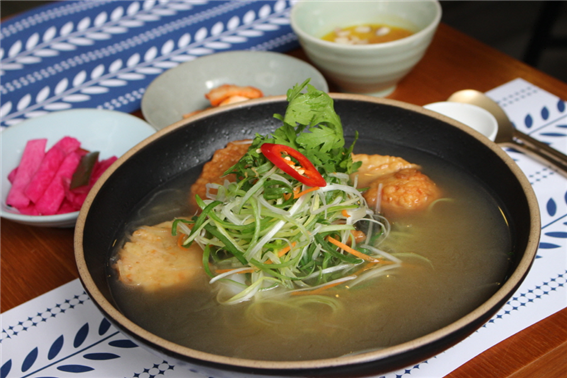 If you find the Korean winter a bit too cold, what about warming up with some amazingly delicious fishcakes? 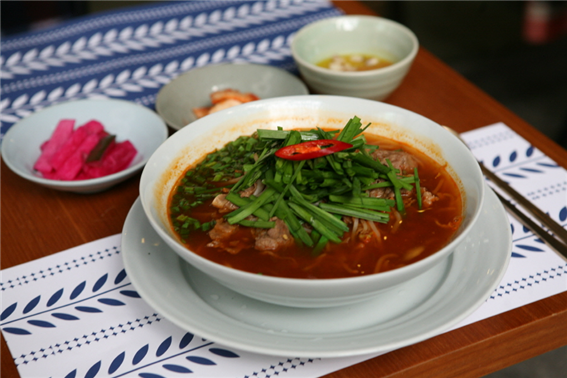 They also have a lot of interesting and delicious soup dishes if you are looking for noodles to slurp up! 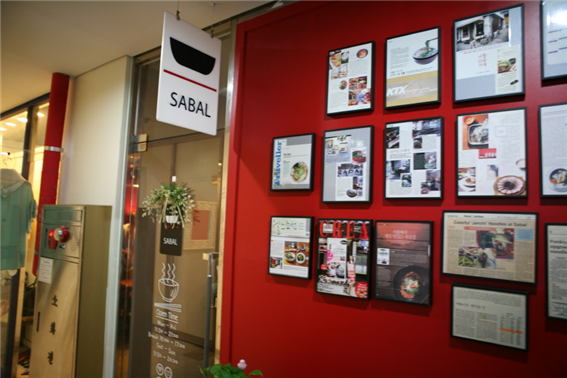 So if you are looking for some restaurant recommendations in Seoul, or Korean food that you must try on your trip to Seoul, visit Sabal! As always, we have located both branches on a handy google map, so use this to navigate your way! 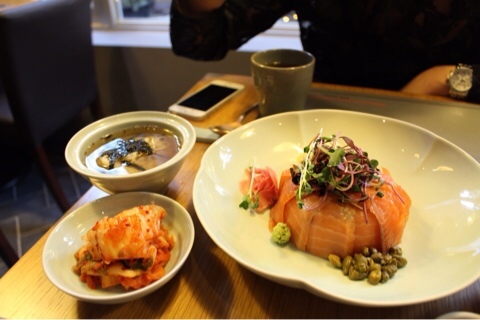 This entry was posted in FOOD and tagged dining in Korea, dining in Seoul, Food, food in seoul, Korea, Korea trip, Seoul.